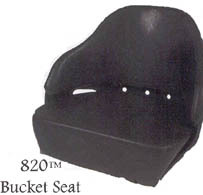 We distribute Seats Incorporated Quality Seating. A leading manufacturer of a wide variety of seats and accessories for heavy-duty trucks, off-highway vehicles, emergency vehicles, construction equipment and military vehicles. Contact Champion for your industrial and commercial seating.